I am a forty-something year old woman who loves to go camping. I love the cool, crisp air in the mornings. I love the smell of a campfire. I love looking up at the stars, while I’m curled up on my camp-mattress, snuggled under a pile of blankets. And I’m a prepared camper…now. 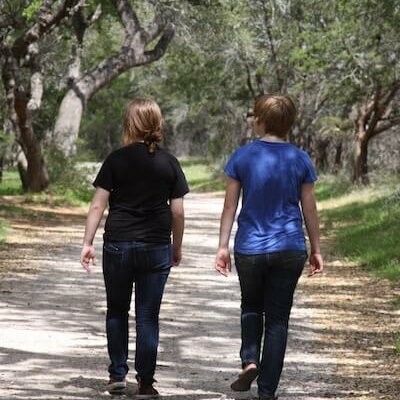 It’s the result of forgetting to pack the rubber mallet while on one of our girly camping adventures. 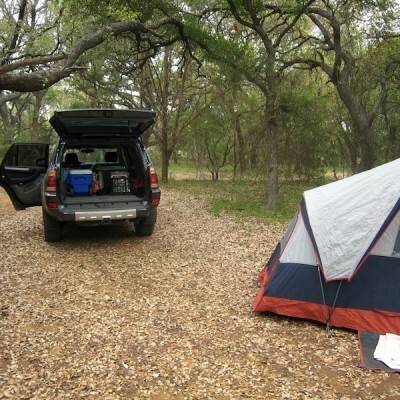 You know, one of the important tools you need when camping, especially in Texas, where it’s basically granite immediately under the topsoil. It’s no fun trying to get a plastic spike into rock without the proper tools. And it’s not like I could have forgone that step. You have to stake the tent when camping in Texas. The thunderstorms can be pretty ferocious. We didn’t even have a hammer with us. We tried with a rock, but it was pretty useless. After looking through EVERYTHING, I called my husband who was at home. The rubber mallet was sitting on the workbench in our garage. UGH! Lucky for us, a neighbouring camper came to the rescue, but I’d learned my lesson. I’ve had a checklist ever since. • Before I leave for a camping trip, I plan out a basic menu. Burgers and breakfast tacos are always on the menu. Beyond that, we like to include picnic-type delectables: Cheeses, hummus, carrots, pizza bread, peanut butter and bread for quick sandwiches. Seasonal fruits are also included, and usually bought locally. I add or subtract from our basic list of food items based on the type of facilities that will be available to us. – Is an open fire allowed? Grilled sausages on soft flour tortillas might be yummy for a quick lunch. – Is there a camp kitchen with refrigerators and microwaves, or are we “roughing it”? Maybe we don’t need as much ice. You get the picture. 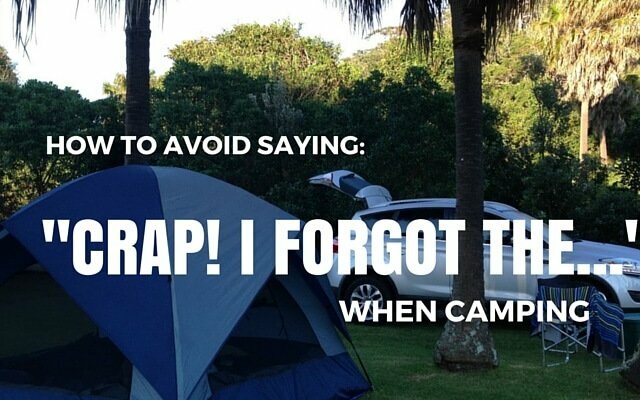 Always check and see what facilities are at the campsite, before you leave home. • Once you know your menu, you can then pack accordingly. Place those items you don’t need immediately at the bottom of your dry box (see below) or esky (cooler), then add according to when you’ll need it. Place the most urgent items in an easily accessible spot. You’ll save money on ice and you’ll make your perishables last longer. • After every camping trip, I wash and replace everything back into my dry box. There are basics we use for camping that we keep in a dry box. A dry box is basically a somewhat large plastic container with a lid to help keep the critters out. Stuff that’s used every time: reusable plasticware, cast iron griddle, BBQ tongs, plastic Bodem coffee pot, matches, flashlights, ect. are all stored in here. After camping, we wash everything thoroughly and immediately place it back into the box. I’ve attached a plastic ziplock bag to the inside of my dry box and as things are returned to the box, I check it off the list. I then insert the updated checklist into the plastic bag. When go camping, we already have our camping necessities ready. We only need to add the perishables… and the rubber mallet from off the workbench. 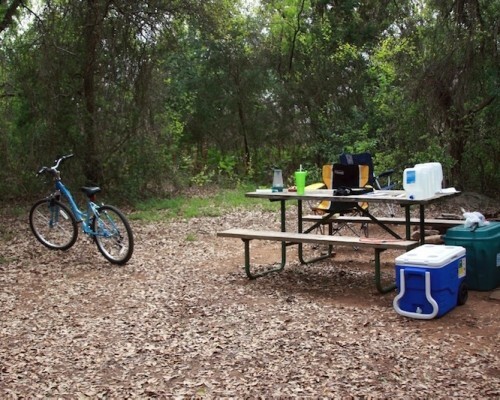 For great camping checklists, check out our Camping Pinterest Page.